Recently in my department at the College we were asked to provide details of all publications from the past year - I was (at first) slightly embarrassed to respond that I had no academic publications in the past 12 months, nor in the previous 12 months either. Research output is often a measure of academic performance - thankfully it is not in my case. I don't have any research students, and am not involved in any research projects in the College. In most Colleges and Universities it would be considered unacceptable for an academic not to publish his/her research on a regular basis, and it would be even more unacceptable not to do any research at all. 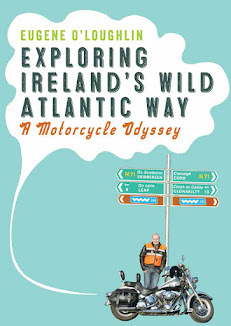 In the past year I have published a new book Exploring Northern Ireland's Causeway and Mourne Coastal Routes, and updated/re-published Exploring Ireland's Wild Atlantic Way. Of course neither of these are academic publications, nor are the 298 blog posts I've made in the past 12 months. I did present at one conference before the summer, but only abstracts were required for this. So no academic output from me - is this bad? Instead of research I concentrate on teaching - that, along with a mountain of administration work, is what most of my work is about. Image source: Yale Teaching Centre. Recent research by some Trinity academics reports that "Improving Teaching Has No Impact on Research and Knowledge Transfer". The report suggest that improving teaching efficiency has no effect on improving research, but that improving research efficiency within an institution will "improve its knowledge-transfer efficiency", ie teaching. However, one of the authors of the study, Professor Brian Lucey, is quoted as saying “The evidence is clear that a ‘one size fits all’ approach to higher education institutions’ missions is not appropriate. There is a strong case for specialised research and knowledge transfer-orientated institutions and for teaching-orientated institutions”. 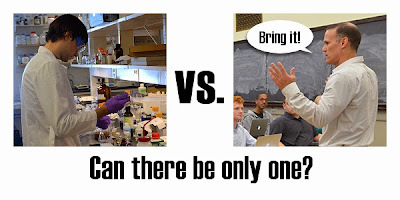 So there is room for concentration on teaching and hopefully no shame or embarrassment for those of us who are not researchers. Interesting Eugene, I have an observation and a question: the report does state that improving research efficiency will improve knowledge transfer, but knowledge transfer efficiency is not teaching! Is knowledge transfer - publications and patents etc. The report (well the University Times article, I must get the actual article) seems to talk about three concepts, and what seem like mutually exclusive concepts: research efficiency, knowledge transfer efficiency, and teaching. So is the inference you make 'i.e. teaching' correct?